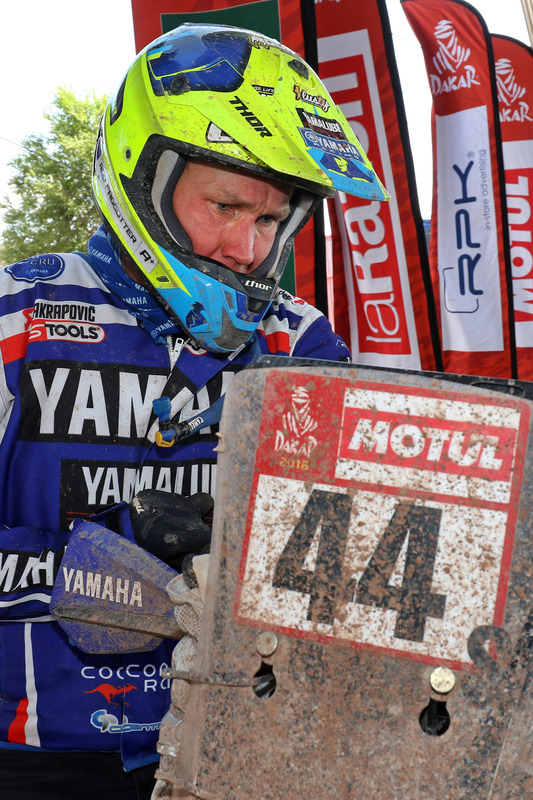 Enjoying a stellar first week of competition at this year’s Dakar Rally, Yamalube Yamaha Official Rally Team riders remain focused on their ultimate goal of making history for Yamaha in this 40th edition of the prestigious event. With Adrien Van Beveren winning a stage and currently placed second overall and Xavier de Soultrait also within striking distance to the top of the leader board, the team enter the second week of racing in South America knowing they have what it takes to battle for the coveted final victory. Getting some well-deserved down time during the rest day in La Paz, Yamalube Yamaha Official Rally Team riders have had the chance to assess their progress so far and analyse their plans for the second week, which starts tomorrow. More than happy with the performance and reliability of their WR450F Rally machines in this opening part of the race, the rest day of La Paz offered team mechanics the chance to thoroughly inspect and prepare the four bikes ahead of a further 5,200km of racing. Leading the team’s efforts in this year’s event has been Adrien Van Beveren. Winning a stage and holding on to the provisional overall lead for three consecutive days, the Frenchman has his eyes set on continuing his solid performance. Less than two minutes behind the provisional overall leader with eight more long stages to go, Adrien will settle for nothing less than the top spot of the final podium in Argentina. Receiving a two-minute penalty by race organisers due to slightly surpassing the speed limit in a part of the timed special, Xavier de Soultrait is currently seventh in the provisional overall standings. Showcasing acute speed and the ability to navigate even in the most demanding of conditions, the Frenchman knows he has what it takes to battle for a potential podium result in Córdoba. One of the most consistent racers in this year’s event, Rodney Faggotter is confident of an equally good second part of the race in Bolivia and Argentina. Feeling great aboard the WR450F Rally machine, the Aussie will look to get closer to the top 10 in the overall standings. Successfully battling through a challenging stage four, Franco Caimi is still in the game and looking towards the finish in Córdoba. Focused on some good individual stage results, the Argentinean will also look to provide assistance to his Yamalube Yamaha Official Rally Team partners whenever necessary. Confirming the brand’s status as a dominant force in the Quad category, Yamaha riders continue to occupy the first seven spots in the class’ provisional standings. With Ignacio Casale currently leading the overall standings by an impressive 41 minutes, there are 12 Yamaha powered riders inside the top 15. Featuring two marathon stages and another 5,200km through the mountains of Bolivia and the trails of Argentina, the coming week will be demanding for all competitors. The race continues tomorrow with the opening part of the first two-day-long marathon stage taking racers from La Paz to Uyuni.